Turkey’s justice minister recently met with his American counterpart, Loretta Lynch, in Washington to discuss the extradition of Gulen, a Turkish cleric in exile. 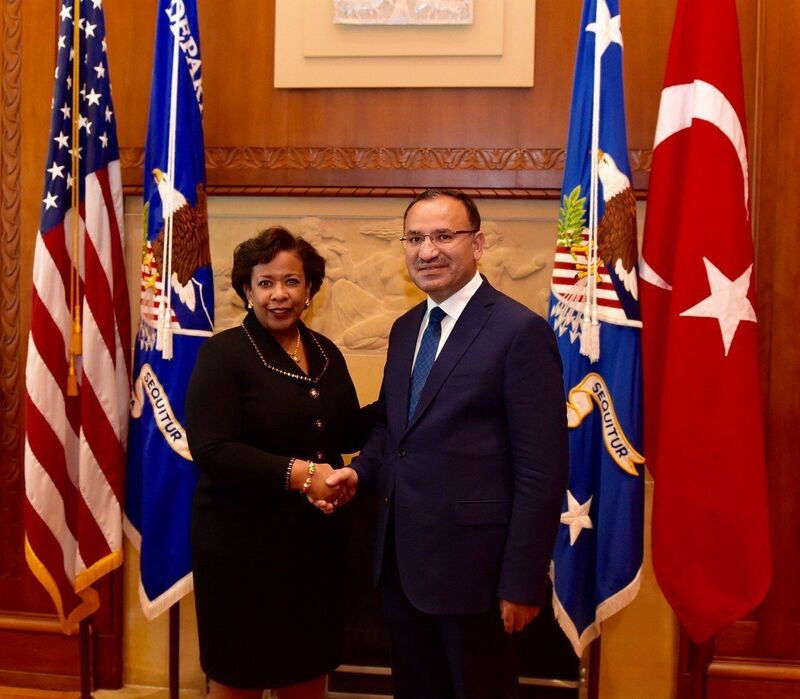 WASHINGTON ― Turkish Justice Minister Bekir Bozdağ met with U.S. Attorney General Loretta Lynch in Washington on Wednesday to press for the extradition of U.S.-based Muslim cleric Fethullah Gülen, who Turkey blames for orchestrating an attempted coup on its country on July 15. 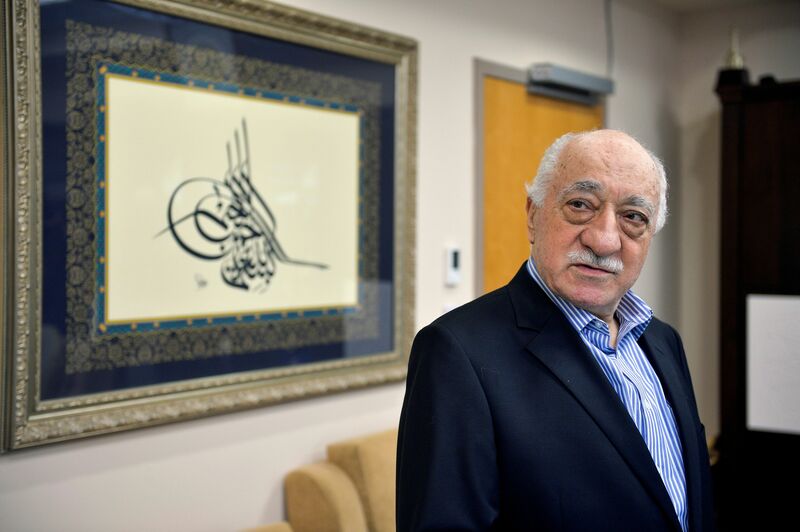 While a significant number of people in Turkey reportedly believe Gülen was behind the failed coup, the U.S. so far does not accept Turkish government information as sufficient for extradition. Gülen denies having any involvement in the coup or its planning. In his meeting with his U.S. counterpart, Bozdağ said he presented fresh evidence to back up the country’s request on the self-exiled cleric. Turkey has been battling several militant organizations domestically and internationally, including the self-proclaimed Islamic State and the Kurdistan Workers’ Party, or the PKK, which the U.S. deems a terrorist organization. But, none of these are as dangerous as the supporters of Gülen, according to the justice minister, who calls the group, FETO, the “Fethullah Terrorist Organization.” This, he claims, “presents a new kind of terrorism” with the degree of infiltration it has achieved in Turkish military, judiciary, police and state audit institutions. The Gülen movement has reportedly opened or inspired 160 or so charter schools in the U.S. using public funds, which are often the top performers in their towns, but Bozdağ said during a press conference in Washington Thursday that Gülen supporters, “disguise themselves as philanthropists promoting education and religion.” He alleged that Gülen schools and educators in the U.S. are used to transfer large sums of money from Turkey and asked U.S. officials to investigate this flow of money. Bozdağ labeled Gülen as “Turkey’s Osama bin Laden,” and compared the cleric’s movement to “Daesh,” an Arabic acronym for the self-proclaimed Islamic State, in blaming him for the coup attempt. He said in statements to the press that Turkey had banned 35,970 people from 124 countries from entering the country and that authorities had arrested or deported 2,800 people from 92 different nations, all of them on terrorism-related charges. Bozdağ said Gulen is “Turkey’s Osama bin Laden” while speaking to press in Washington following his meeting with Loretta Lynch. During the press conference, The WorldPost posed two questions to Bekir Bozdağ to learn about why the issue of Gülen’s extradition is so important to Turkey and what it means for the future of Turkish-American relations. A third question was then asked in private. Below are the questions and the justice minister’s answers. What would be the impact on U.S.-Turkish relations if Gülen is not extradited? When the process is still ongoing, I don’t want to talk about a perception that he will not be extradited. Of course, if the process is prolonged, or if something happens within that process, this would mean a huge blow to the relationship between Turkey and the U.S..
We, as Turkish people, do not understand or accept the fact that Fethullah Gülen, who is the murderer of 241 civilians and caused the wounding of around 2,194 people, bombed the parliament with F-16 jets [and] attempted the assassination of our president, is acting freely in the U.S..
We want [the] U.S. to understand us, because there is a growing anti-Americanism among Turkish people, as is observed by the representatives of the U.S. in Turkey. The possibility that no sanctions are taken against the perpetrators of such grave offenses will increase the problem. Although this is a legal process, we still believe that the U.S. will not choose a terrorist over Turkey. “The state has the right not to employ someone who isn’t loyal to it, or is loyal to a terrorist or terrorist organization instead of the state,” Bozdağ told The WorldPost. 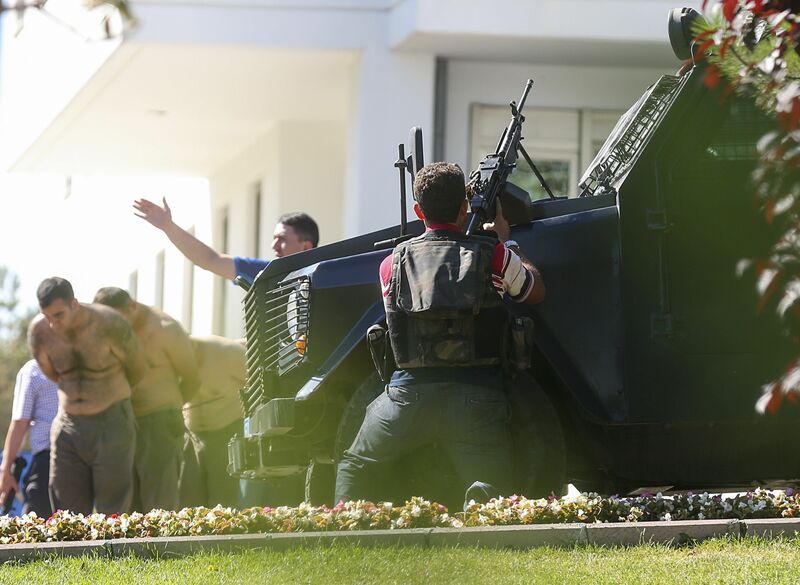 The purge of suspected Gulenists has been very broad. Do you believe public institutions have now been cleared of those who plotted, supported or were sympathetic to the coup? A purge of civil servants from the state for being a member of [the] Fethullah Terrorist Organization, or for having ties to it, is based on a law. Each state has the right [to seek] high loyalty to the public order when it comes to civil service. The state also has the right not to employ someone who isn’t loyal to it, or is loyal to a terrorist or terrorist organization instead of the state. The U.S. authorities, government and people will not allow a member of Daesh or other terrorist organization[s] to be employed by the U.S.. The same goes for Turkey. We cannot say that the purge is 100 percent over. We are doing it for each and every one of the terrorist organizations; it’s not confined to FETO. After the dissolving of [the] Soviet Union, many other countries that gained independence purged or cleansed those who were still attached to the Communist regime. The same example is true for Germany as well. Around 500,000 people in East Germany were dismissed from their duties after the unification. This is an example we’re seeing in all the countries. Are you satisfied now that the country is secure and ready to return to normal, or will the emergency powers remain? If so, for how long? The extension of the state of emergency has to do with the extensive process that the government is going through. We need time to take careful steps. If there are mistakes, we need time to investigate them. There is, however, no state of emergency with the normal flow of life. The above interview was conducted in Turkish and has been translated and edited for clarity.